In 1905, when Coney Island had a trio of three grand amusement parks–Steeplechase, Luna and Dreamland–popular attractions included a scenic railway that transported visitors to the North Pole, Africa, the Grand Canyon and Hades, and live shows such as a Midget City and Dr. Couney’s Infant Incubators. 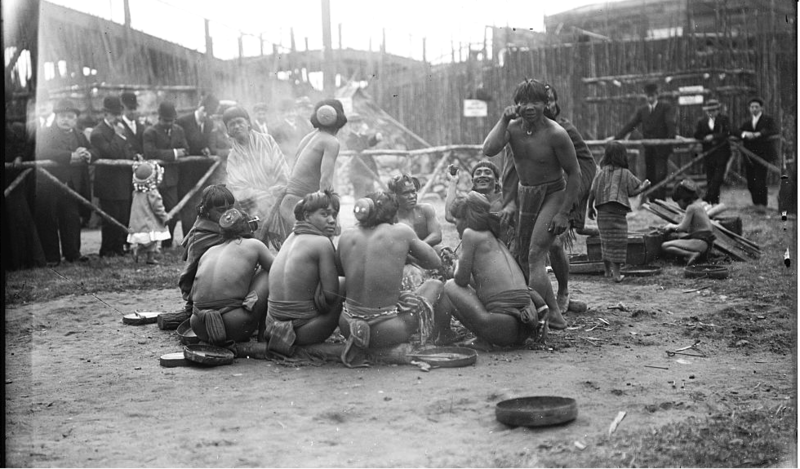 “None of this season’s novelties at Coney Island is better worth seeing than the Igorrote Village in Luna Park,” wrote a Brooklyn Eagle reporter of a brand-new attraction where nearly naked, tattooed tribespeople from the Philippines entertained the masses by performing dances and rituals. “For obvious reasons the surroundings of the Filipino headhunter are not so realistic as at the Louisiana Purchase Exposition last summer, but otherwise the exhibition has the same impression in its sheer contrast of savages with civilized people,” said the reporter.Journalist Claire Prentice scoured innumerable archives to piece together and vividly bring to life this fascinating, long-forgotten episode of amusement park history in her new book The Lost Tribe of Coney Island. Touted as “headhunting, dog-eating savages” by the press, the Igorrotes were a show biz sensation and a gold mine for their increasingly unscrupulous manager Truman K. Hunt, the former lieutenant governor of Bontoc. He obtained permission from the U.S. government to bring the group to America after having managed the government’s own Igorrote Village at the 1904 St. Louis World’s Fair. The exhibits were “used to push the case that America had a duty to protect, educate and civilize such savage beings, and later, when the treatment they experienced became a national scandal, they were used to argue that America had no place in the Philippines at all,” writes Prentice. 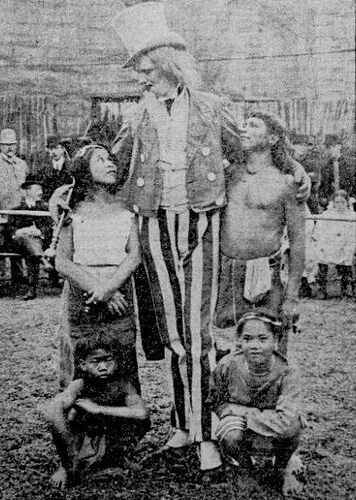 The cast of characters including tribal chief Fomoaley Ponci, translator Julio Balinag and children Tainan and Friday are portrayed with great empathy. Among the sad realizations in this sad and astonishing story is that with the exception of their journey from Grand Central Station to Coney Island, the Igorrotes did not get to see New York City. While reporters asked them–What do you think of America?–Hunt kept them captive in their “Village” and even their requests to walk around inside Luna Park were rejected. Before the 1905 season was over at Luna Park, the opportunistic showman had smuggled the Igorrote Village across the street to rival Dreamland, lured by a higher offer, and then to fairs and parks in far-flung cities. A government agent and Pinkerton detectives were on his trail following a report that the Igorrotes were being exploited and their wages withheld.Prentice writes that during the summer at Coney Island, the Igorrotes were bringing in $20,000 per week (equal to about $525,000 today), but when they were finally sent home by the government in 1906, each one got just over $30. Though arrested and prosecuted, Hunt had squandered the fortune that the Igorrotes brought in, including their promised monthly wages of $15 each and the money they’d earned from selling souvenirs. An afterword provides information about what happened to the Filipinos after they returned home and the fate of the other characters in the book. On December 10, the Brooklyn Public Library is hosting an author reading at the Central Library at Grand Army Plaza from 7-8pm. This entry was posted in Reviews of The Lost Tribe of Coney Island. Bookmark the permalink.